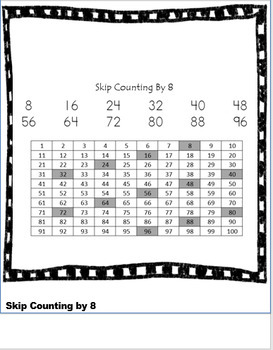 This flipbook is designed to help kids with counting by multiples, or skip counting. 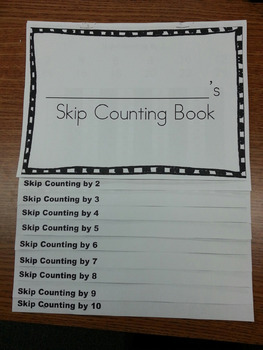 Skip counting is often called counting by 2s or by 5s, etc. 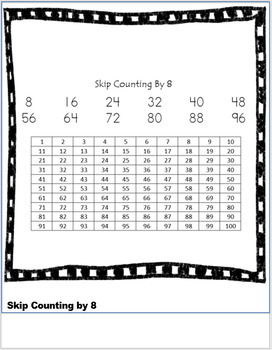 Skip counting really helps with addition, subtraction, multiplication, and division. There are 2 versions in this PowerPoint file, one where the numbers are already highlighted and one that is blank, for the kids to highlight. Kids can keep in their desk as a reference as needed.